Today's Bonanza bird is the Palm-nut Vulture, also known as the Vulturine Fish Eagle. Vultures are sometimes known as nature's garbage collectors, because they mostly feed on carrion - dead animals. The Palm-nut Vulture is the exception to the rule, feeding mainly on the fruits of Raphia and Elaeis palm trees. Their method of feeding can be quite unusual, too. They hang upside-down, holding onto the fruit with their feet and using their beaks to pull off pieces to eat. The Palm-nut Vulture is rather common within its range. This species is fortunately not threatened, unlike many other vulture species. Tomorrow's bird is an Old World finch with a bovine name. Can you guess what it will be? 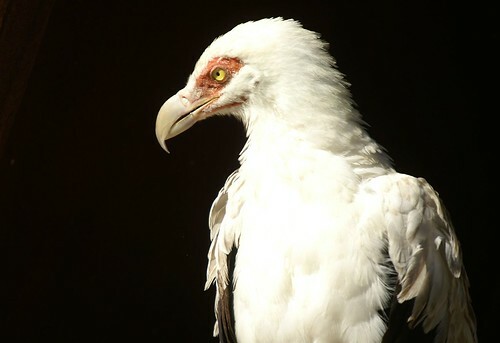 7 comments on "Bonanza Bird #8: Palm-nut Vulture"
You guys should add the Kori Buzzard. Its the heaviest flying bird on Earth. 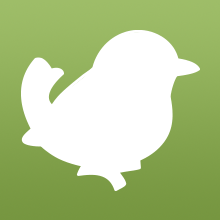 I think it would be a nice addition to Birdorable! Cool, palm nut vultures are really upside down?